Dubai Summer Surprises (DSS) 2017 is back on July 1 with a wide range of offers, fun shopping experiences and great events over six weeks. 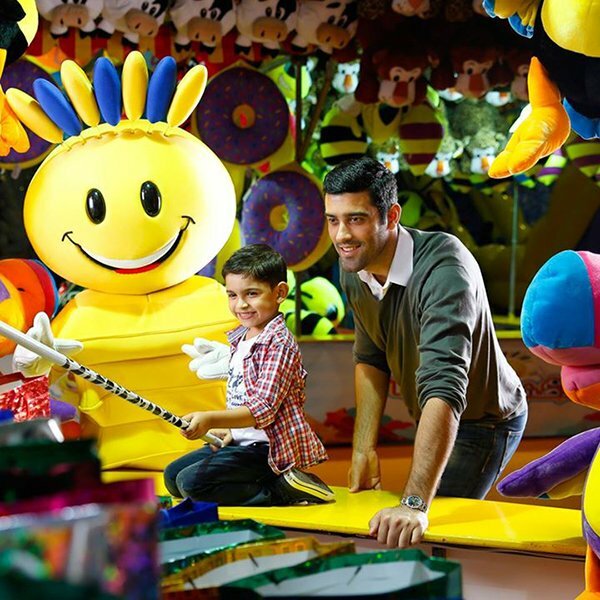 This year’s summer festival offers a selection of the best retail outlets in Dubai and highlights a range of entertainment and activities available throughout the city during the summer months, from business centers through concerts to family-friendly cartoons. Dubai Summer Surprises this year will shine with 6 weeks of discounts on different products ranging from 30% to 75% throughout the event. 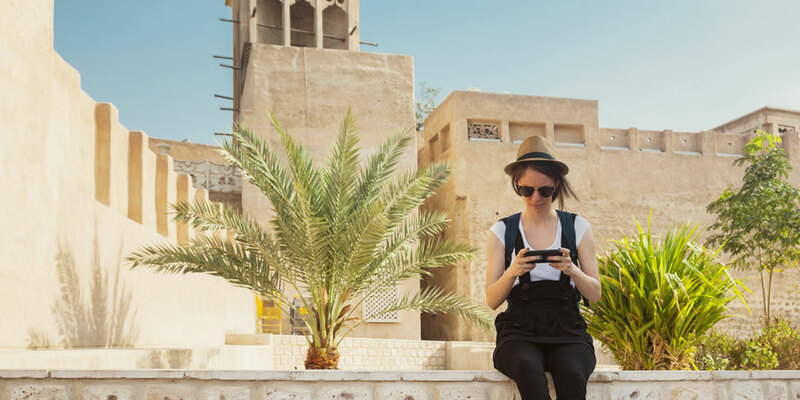 Some of the world’s leading brands will offer amazing discounts to allow customers to take advantage of great deals at various malls and shopping areas in Dubai during the summer. Shoppers will enjoy amazing deals mid-week with 72-hour discounts, which will run from Monday to Wednesday every week during the Dubai Summer Surprises, while Friday’s surprise will offer the public an incredible shopping deal every Friday during the event starting July 7th. The details of the discounts will not be revealed until 24 hours in order to encourage shoppers to follow up the DSS site and social networking sites to ensure that they do not miss the opportunity to benefit from the offers. As the culmination of six fantastic weeks of discounts and promotions, the DSS offers will culminate in the final offer discounts starting August 10 and ending August 12. The final offer discounts will include the final price cuts for the summer season, giving shoppers a last chance to get the best discounts before the end of the surprise event. The Outtale Village will invite shoppers to enjoy Tuscany’s summer in a country-style Italian setting decorated with exquisite flowers as well as children’s entertainment activities and exclusive shopping shows. The Dragon Mart 2 will give shoppers who spend Dhs 200 the opportunity to win one of three Nissan Patrols as well as thousands of small prizes through instant win cards, scratch cards and win. Mall of the Emirates offers AED 1,000 per day and over 43 days to one lucky shopper when you spend AED 650 or more. City Walk will offer a spectacular underwater show for the Dubai Summer Surprises (DSS) days with the use of LED lights to create stunning light sculptures. In order to make the young lovers happy, there will be Treasure Hunt, Children’s Passport with prizes and valuable gifts, Work and live light shows. Children will also enjoy the “Big Box” LEGO Cubes, which will be returning to Dubai Summer Surprises for the third time. The venue will be decorated with brightly colored lijos and will be filled with exciting promotions, prizes and workshops. 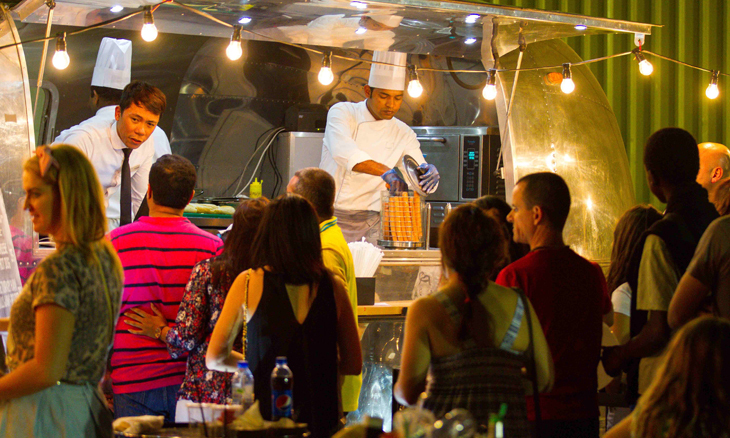 Dubai Festival City will offer the largest indoor dessert dome in Dubai and will give shoppers unlimited opportunities to win fantastic offers. Participants only need to show their payment vouchers to enter the giant dome and wrestling to win prizes. At Festival Bay, the children will be stunned by the daily “Imagine – a Child’s Dream”, which tells the story of a toddler’s dreams. After the show, young shoppers can visit the Dream Station to look at their own dreams. 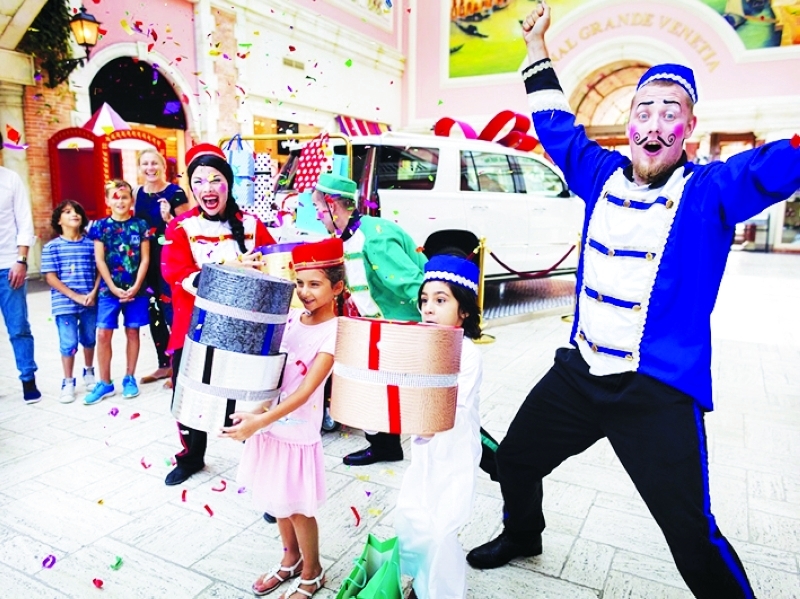 Ibn Battuta Mall will offer a variety of shows to entertain visitors throughout the Dubai Summer Surprises. From July 27, the Discovery of the Solar System will be on Discovery’s public journey through the universe and will allow visitors to learn about the solar system in an innovative space, Young astronauts will have the opportunity to make their own spacecraft as well as draw and color their favorite planets. The Dragon Mart 2 will invite shoppers to enjoy a wide range of spectacular performances throughout the event, including a magic show entitled “Aladdin and the Magic Lamp” (6 to 15 July) and the ghastly ghost hunters (July 27 to August 5). Shoppers under the Tuscan sun at The Outlet Village will have the chance to enjoy the Tuscan summer in the charming, flower-filled countryside, children’s entertainment and exclusive shopping. Mercato Mall offers a huge series of six-week activities, including the lively jungle circus and the jungle-inspired acrobatics; a circus show featuring comic footage of Out of the Blueows; observations of amazing BMX biking artists and other great reviews. Children will have the opportunity to participate in acrobatic workshops and painting on the face. From 16 – 22 July, Mall of the Emirates will host direct matches and tournaments in association with the FIFA Football Association. Players must shop for AED 300 within the mall for a chance to play and may lead them to participate in international tournaments. On July 21, Fouad Abdel Wahid and Dalia Mubarak will play a crowd of shoppers at City Center Mirdif. Finally, August 4 will see a concert by Balqees, which will take place at the Mall of the Emirates. 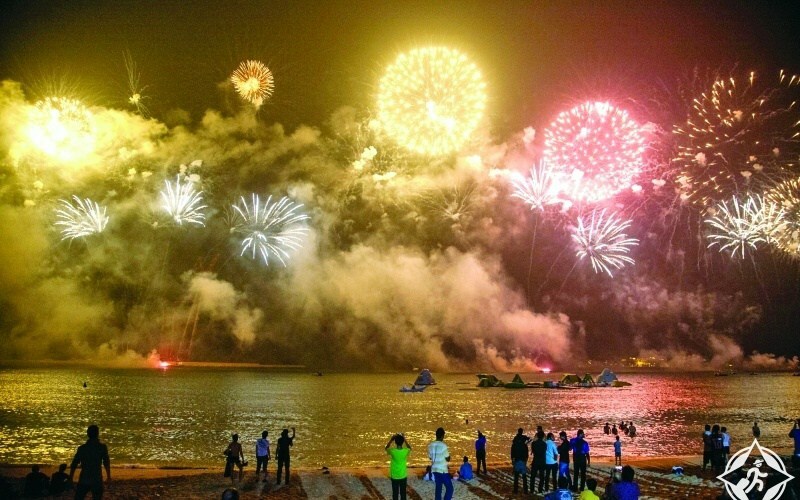 All the above events will start at 8 pm and will be free, which is good news for people who aspire to expand their shopping experience and celebrate their summer in Dubai. Dubai will host an opera on July 6 and 7, “Javier and Aisha’s Amazing Choral Adventure” to offer guests a unique family evening. The concert is orchestrated by the famous singer Joanna Marsh and tells the story of Javier, the younger brother of Alaeddin and his journey of true love as he seeks to defeat the leader of the evil band and learn to sing and marry Aisha, the girl of his dreams. Throughout the period of retail and leisure offerings, Dubai World Trade Center will host a host of exciting performances including the world of Modhesh, one of the largest leisure facilities covered in the region and the 2017 Dubai Sports World, the largest covered summer mathematics center in the UAE. General at its seventh session to provide a busy schedule for 13 weeks of sporting events, competitions, academic events and various activities.